April – and the subject at the heart of this months challenge – glorious, fresh, healthy, vibrant vegetables! I feel good just writing that. It’s somewhat cleansing after the rather heavier food of Winter. 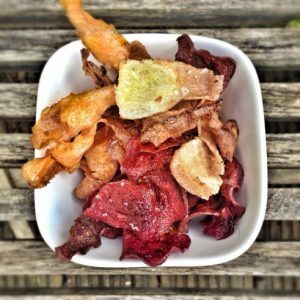 Living here in Gascony, much of the local cuisine is based around meat. Not that I am complaining as they do carnivorous food very well indeed. But sometimes after a plethora of duck, foie gras and saucisson, I get the urge to go and lie down in a field of salad and just roll around in it for a while. So the theme of celebrating vegetables suits me just fine. And as always, there has been plenty of inspiring and ingenious recipes submitted, so many that I look forward to trying. 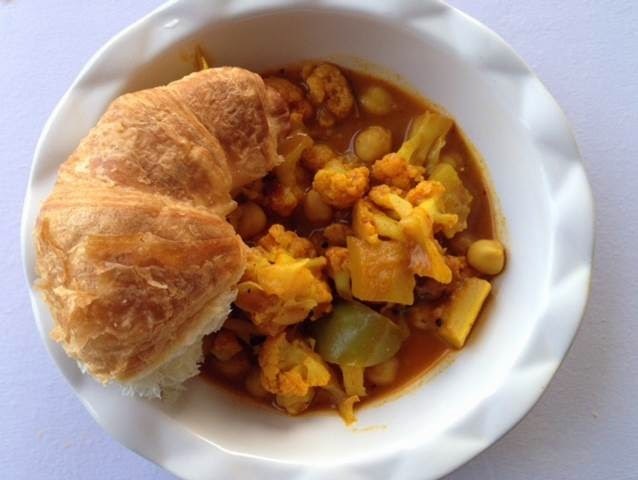 My craving for ‘les legumes’ is well on it’s way to being satisfied so merci fellow bloggers! The challenge for May is open now over on Eat Your Veg, hosted by lovely Louisa. The theme is ‘Celebrating Spring’ as it most certainly deserves a cheer! Sunchokes – what a wonderful name – sounds so much nicer than Jerusalem artichokes. Anyway, a much underused vegetables with lots of flavour. 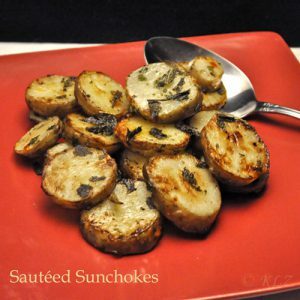 Katie has simply cooked them with garlic and sage and they look golden and delicious! 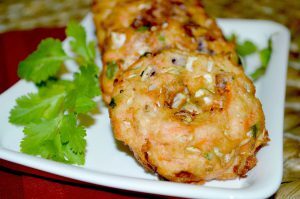 I love this kind of filling, vegetarian family dish. It goes a long way and is super comforting. Cauliflower and broccoli are just perfect with cheese sauce. 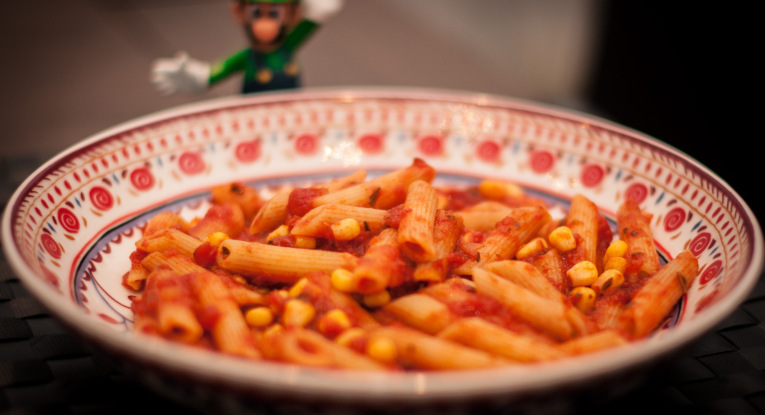 Lou uses wholemeal pasta here as well, making it even healthier! Going to give this a go with my fussy eating monsters! 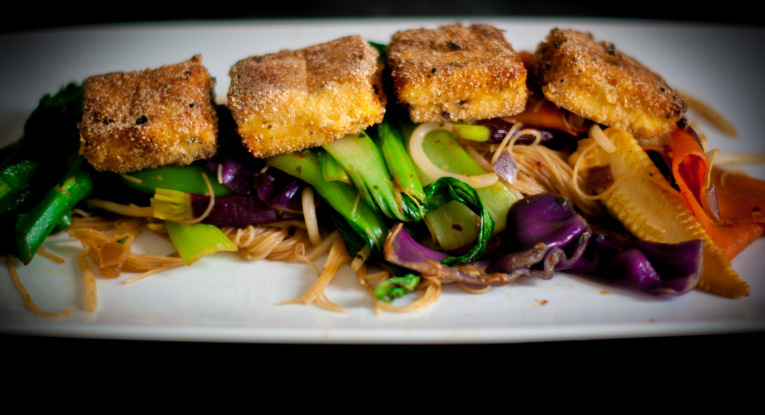 I think this look so delicious, all the colourful vegetables entwined with the noodles and topped with perfect crunchy nuggets of tofu. I would be happy to receive this dish at a restaurant, it looks so fine. Do you do delivery Tina? Shredded vegetables mixed with spices and combined with a batter made from Dal, then fried. The outside looks golden and crispy whilst the inside remains soft. Like a vegetable doughnut! I bet I could polish off a fair few! Spaghetti squash is such an interesting vegetable, one of my favourites to play around with. 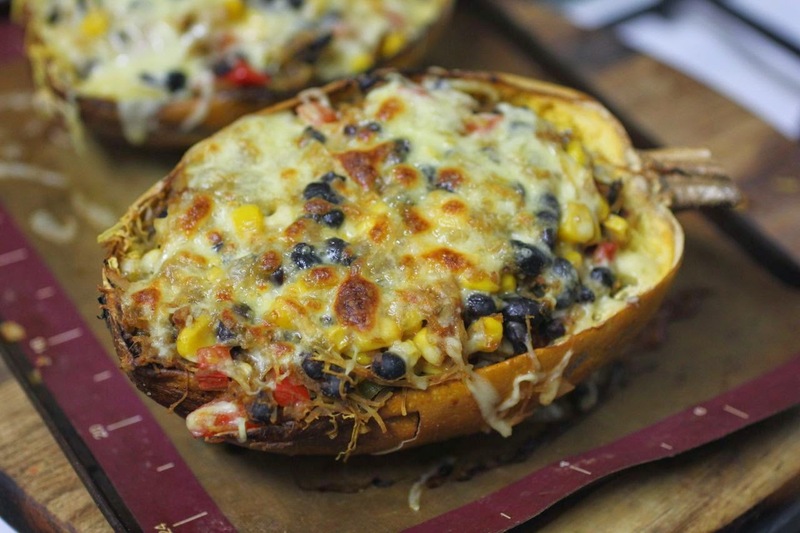 In itself it can be quite bland so Johanna’s recipe, packed full with spices, black beans, corn and cheese sounds like it would be super delicious indeed. Here we have another take on a vegetable curry, this time with Thai flavours and coconut milk. This is no doubt fragrant and powerful and of course super healthy too. 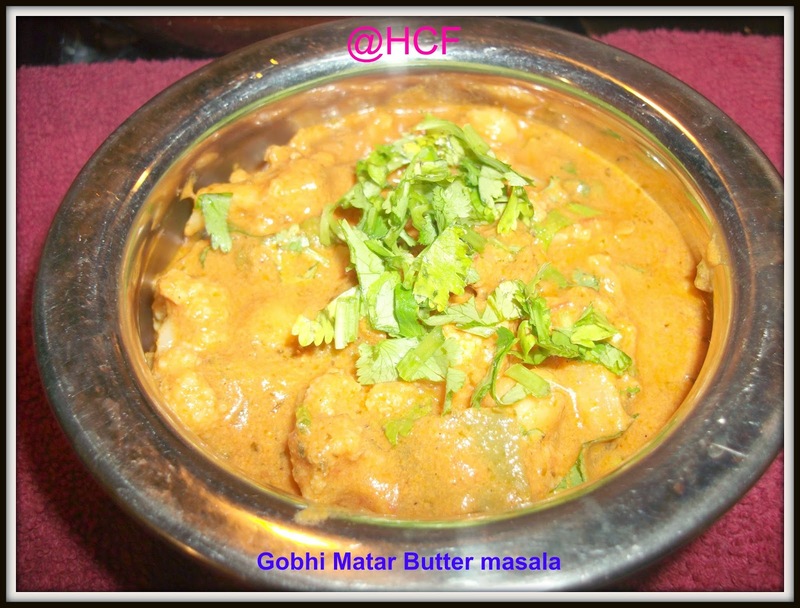 Just the kind of curry I like to make to feed hungry people and it would keep well for left overs too. Beetroot, carrots and parsnips – such inviting colours, all crispy and crunchy! 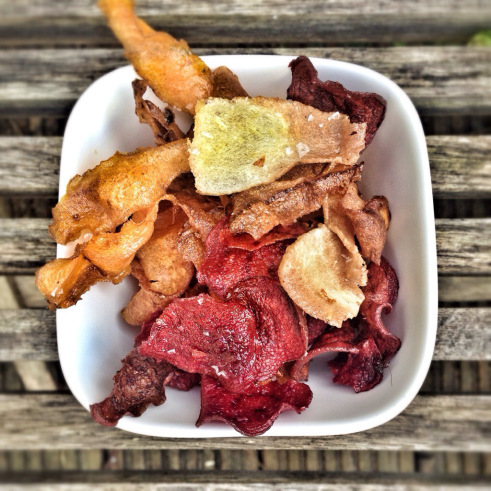 A great healthier alternative to a salt and additive laden bag of bog standard crisps, these are worth the effort. Love the idea of pairing them with some meat also. 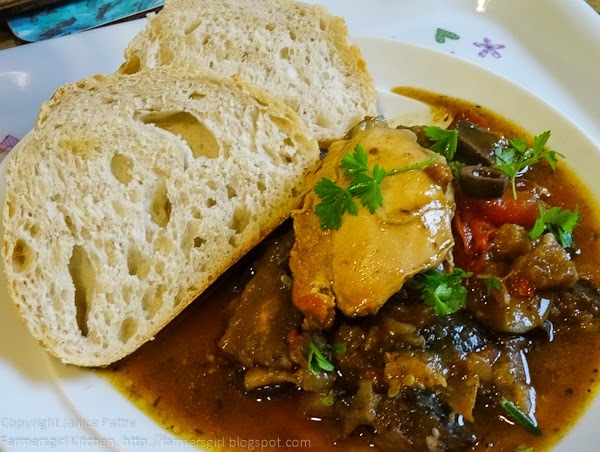 This dish is made in a slow cooker which is a great way to get all the delicious flavours to combine and ooze into each other. A wonderful array of Mediterranean vegetables are layered in the bowl along with garlic and pesto and chicken thighs. A heavenly combination ! Crispy green Spring vegetables, tossed with warm chicken and smothered in an absolutely yummy sounding dressing with mustard and balsamic. Not to mention the marinade for the chicken too. This dish looks so inviting and I just want to dive in. 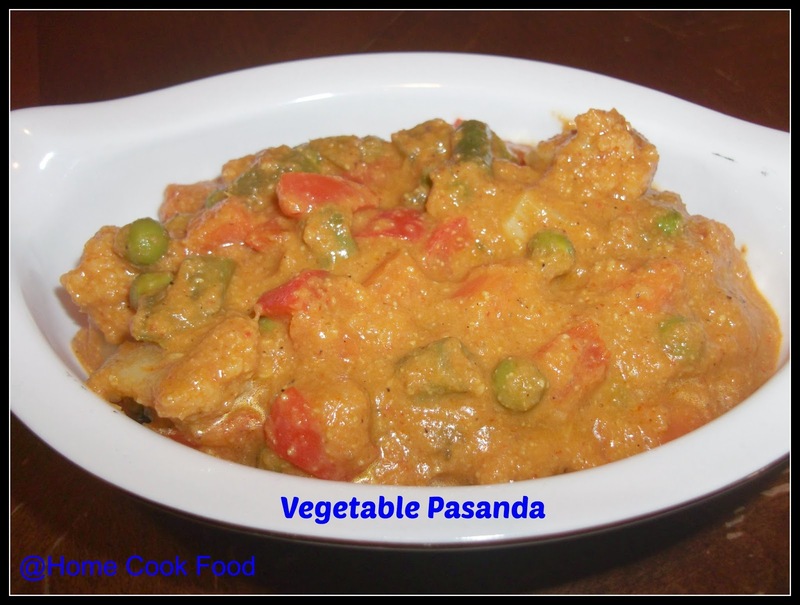 Another delicious looking vegetable curry – this one is super saucy and Linsy says it works well for dipping your rotis or parathas. This one is cauliflower based and also uses cashew paste – not something I am familiar with but I think sounds really interesting. This is a very intriguing recipe. I am so curious to try cactus, something I have seen in a few dishes but it is most certainly not an ingredient common round my way! 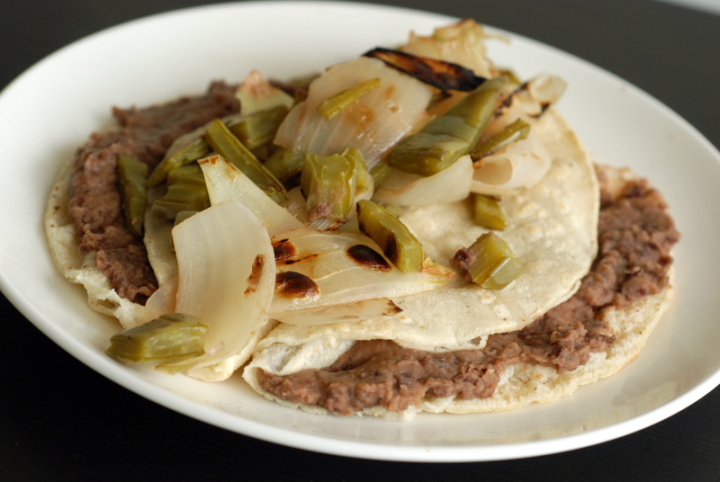 Anything with refriend beans gets a thumbs up from me! 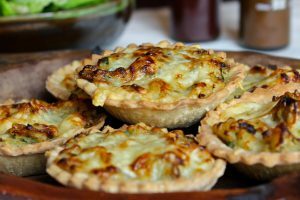 I had never heard of a ‘Homity Pie’ before but I certainly like the cute name! Not to mention all the yummy cheesy potato and onion filling! There is something old fashioned about them in a comforting way. Bet they would be great cold on a picnic too. You can’t go wrong with a well made bowl of pasta and sauce. This one is all about the fresh tomatoes pepped up with garlic, basil and worcestershire sauce! 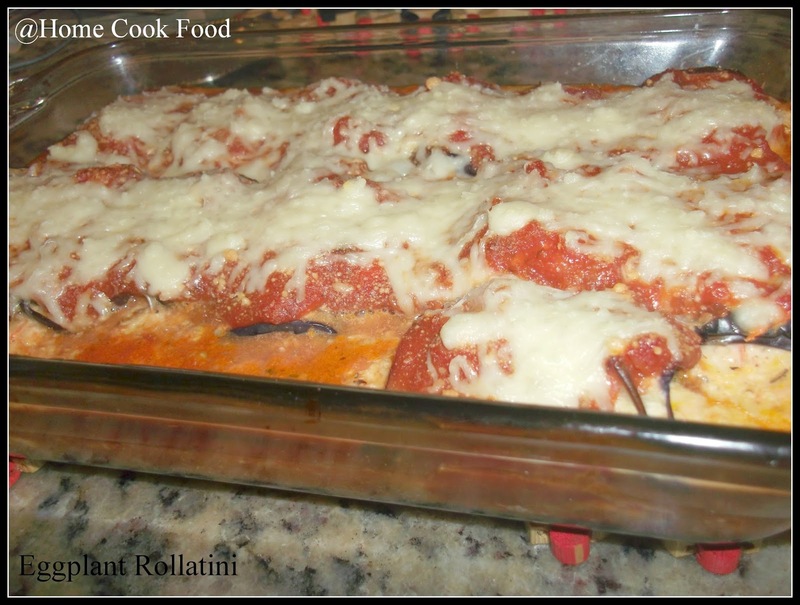 A really great core recipe adaptable for many dishes and a sure winner with kids. Linsy has excelled herself this month with another entry for FSF! I love her approach to this one, keeping it simple , creamy and delicious and enjoying the fuss free meal with a nice glass of wine. Sounds like my kind of evening! I love recipes that take a few twists and turns on the usual approach, just as Christian does here. 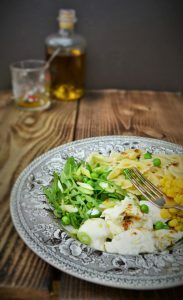 With grated radish in his white sauce and layers of vegetables cut into discs like the pasta then roasted, this version has some great flavours and textures. 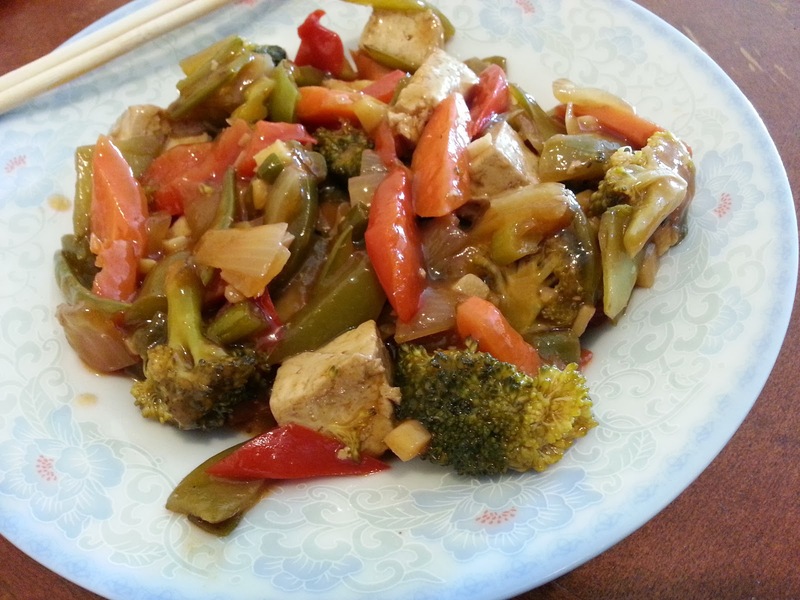 The beauty of this dish is that you can use a variety of vegetables, anything you have to hand really. It’s the slightly salty, delicious soy sauce marinade that holds it all together and gives the dish it’s simple but fantastic flavours. Striking colours with delicious spices and the crunch of sesame seeds, this dish really makes me want to eat it! 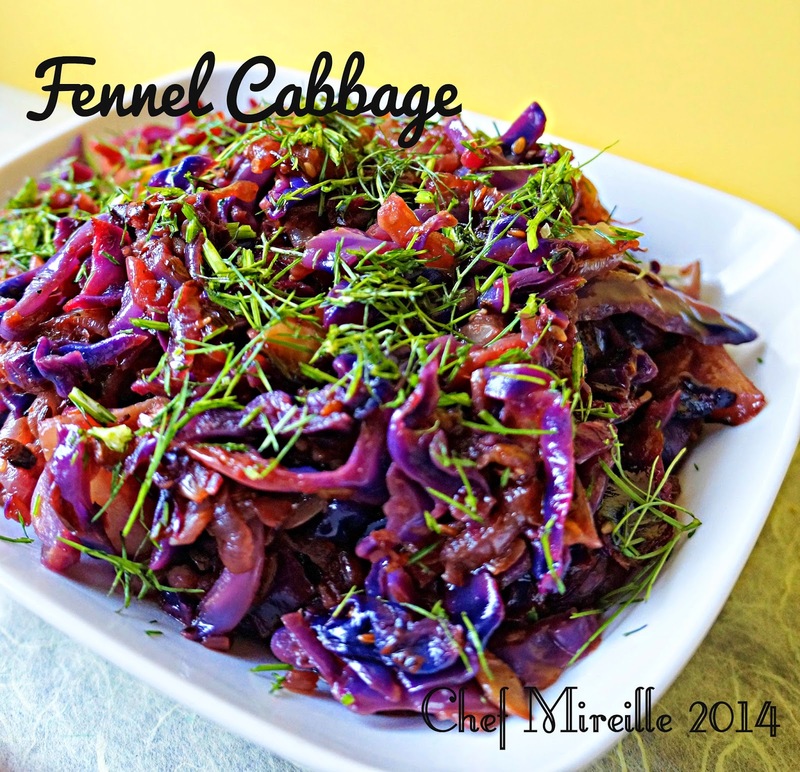 I love spiced cabbage but this has fennel in there too which adds a wonderful new dimension. 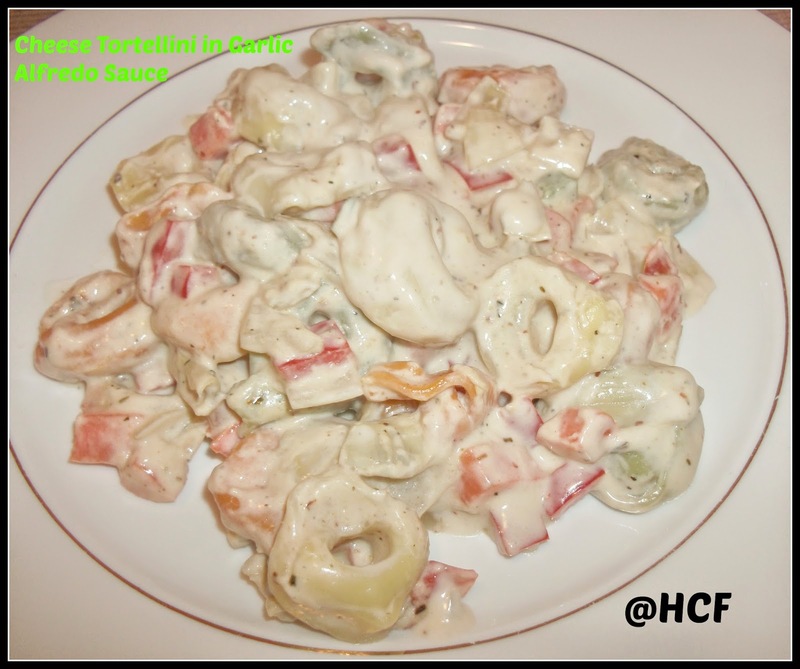 This is a wonderful take on a pasta salad. 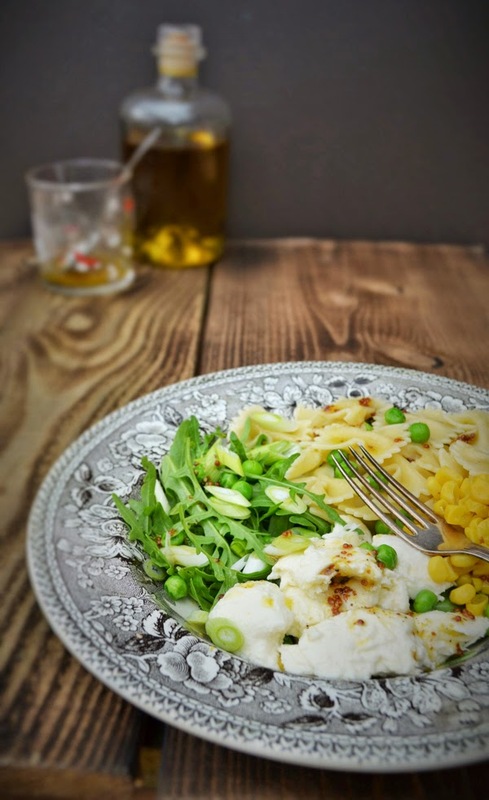 The zingy dressing is made with wholegrain mustard and honey which undoubtedly works wonderfully with the creamy mozzarella and peppery rocket. One to bookmark for a sunny day lunch! This is a dish that I love. Such a great way to make the most of delicious aubergines. 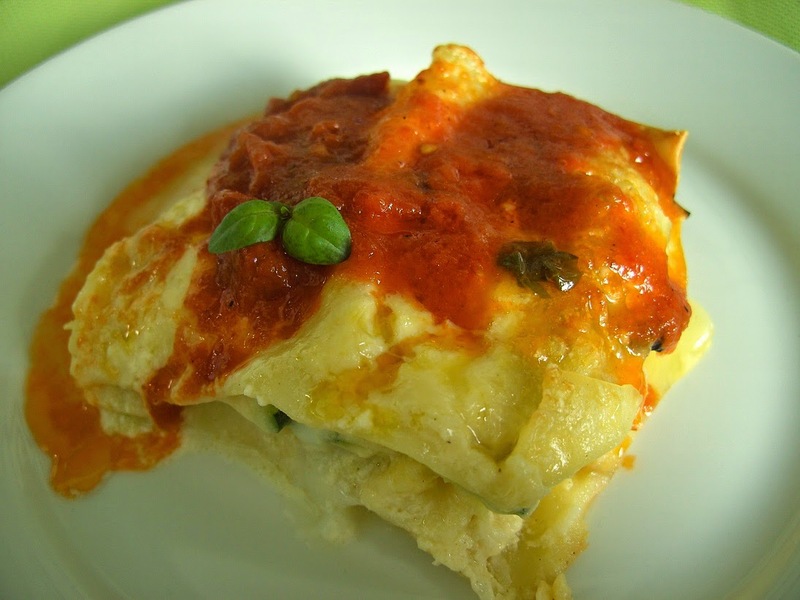 Loads of oozy cheese and herbs, pine nuts and a tomato sauce, this dish is colourful and moist and very very tempting! As is always the way, Choclette has managed to combine together some fabulous ingredients and added a dash of chocolate to top it all off! 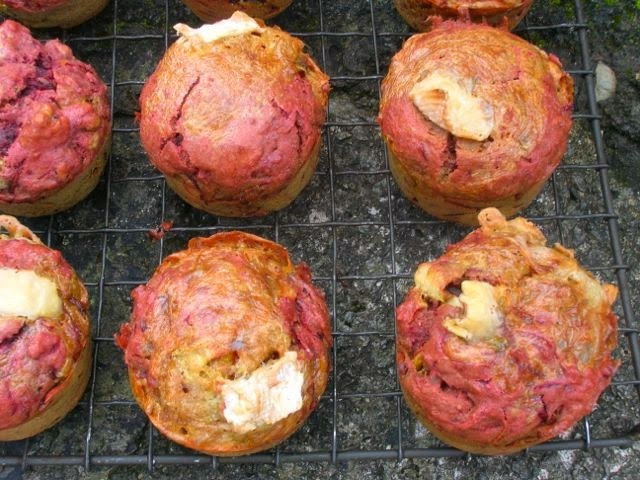 These muffins really do look great with the hint of purple and visible chunks of goats cheese. I’ll take a dozen! This is a truly juicy and delicious looking tart! 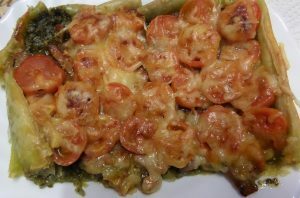 Literally smothered with fresh tomatoes, bacon, cheese and pesto, this is a wonderful combination for a tart. 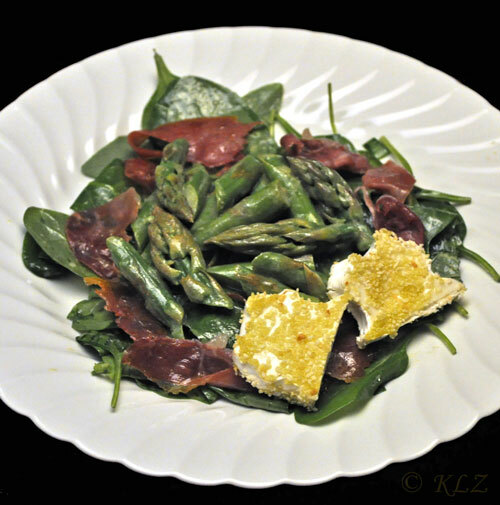 A crisp green salad and a cold glass of white wine and I would be very content indeed! Entry number 6 from Linsy!! These Popstickers look so perfectly made, I could eat the whole plate and not share any! Followed by a Bok Choy, teriyaki and peanut salad. this is a meal guaranteed to impress. Oh my gosh – this looks like a bowl of green goodness. I feel healthy just looking at it. 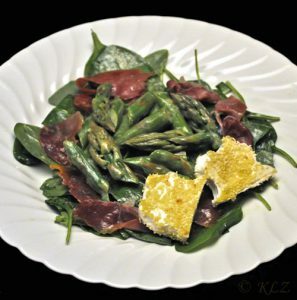 With wonderful textures of some soft, some crunchy veggies in there, topped off with croutons and parmesan cheese, this is Spring in a bowl. I am all over it. 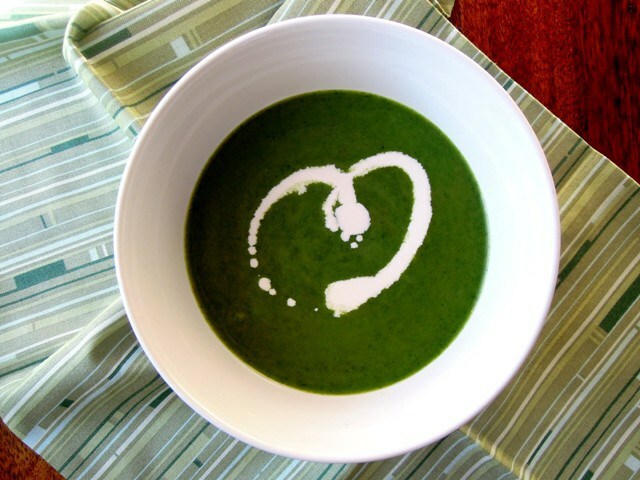 Gorgeous deep green, this soup makes great use of those nasty stingy nettles!!! I am very curious to try this out and have heard many good things about eating nettles. The satisfaction of picking them and making something delicious out of them must be very nice indeed! 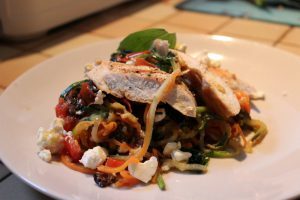 Making good use of my favourite kitchen toy – the Vegetable Spiralizer – this dish has great textures, crunchy twirly veggies, soft salty feta and fragrant basil, topped off with simple grilled chicken. It is colourful, happy and full of the joys of Spring! Whoop whoop indeed Louisa! I also have a little dance when asparagus comes into season. 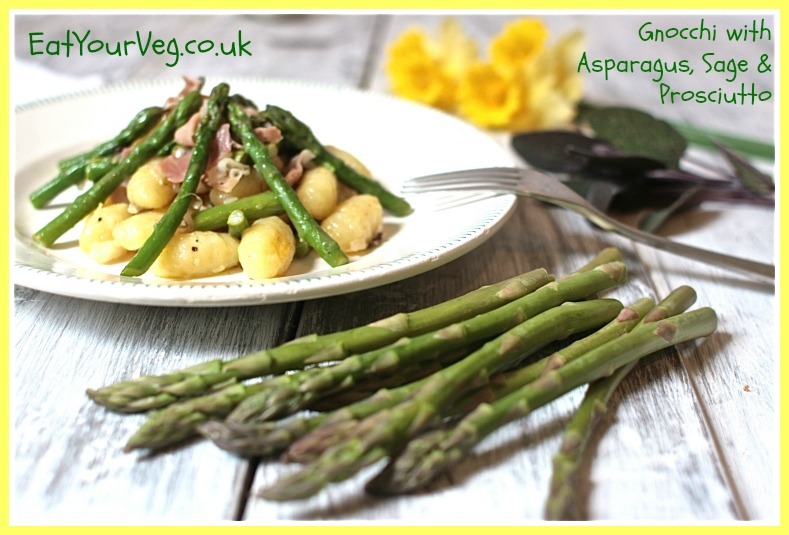 And this dish makes great use of it paired with soft little pillows of gnocchi with ham, garlic and lemon. My mouth is watering…….! I love that this is made in a slow cooker which may not be the authentic method but it looks like it works a treat! Vegetables, spices and rice are layered into the bowl and the slow cooker does it’s thing and you are rewarded with a spicy bowl of deliciousness. Just brilliant. I think a risotto is one of my all time favourite comfort foods. 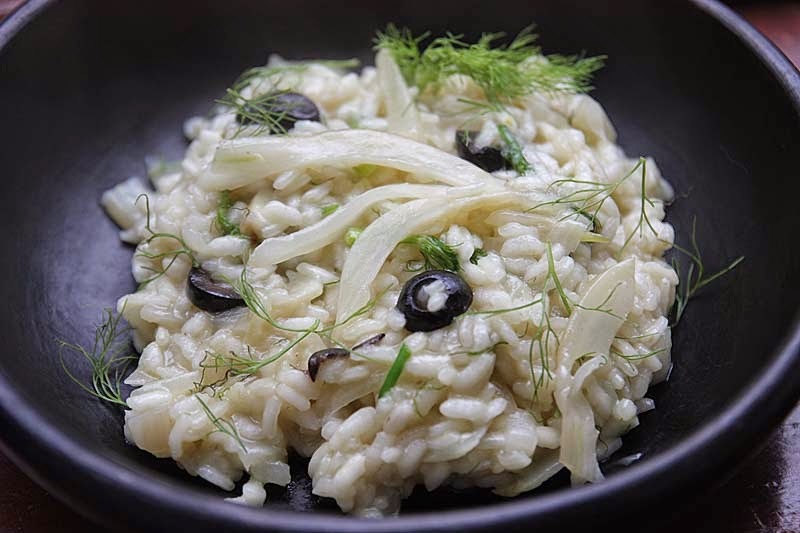 I am sure that the soft aniseed flavours of the fennel would work perfectly with black olives and that if I ate the whole bowl, I would indeed be happy and content! 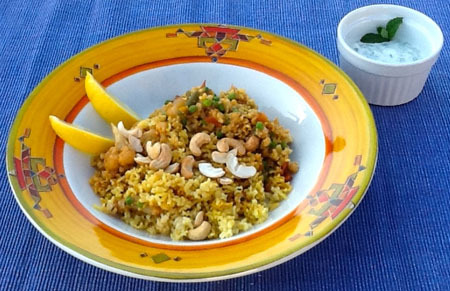 I love this recipe which transforms day old rice into something rather special! 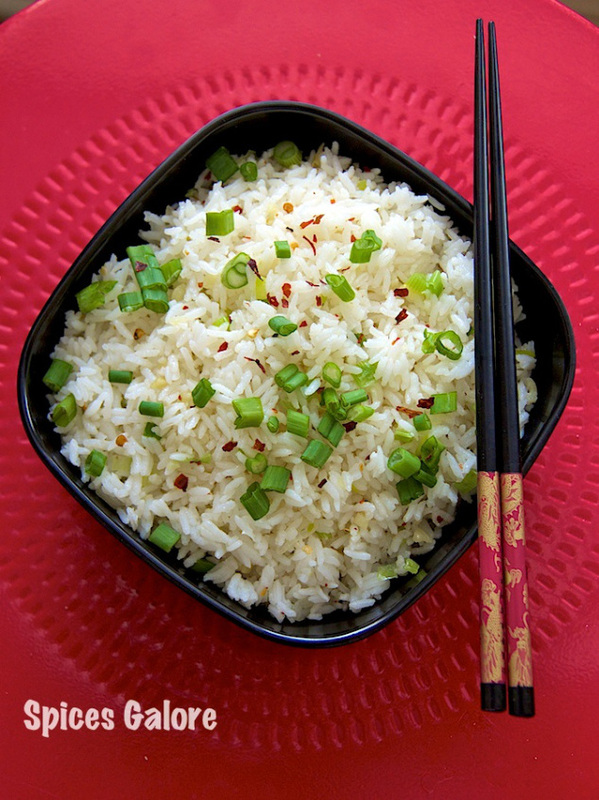 Pungent with garlic, chilli and soy, the spring onions add a savoury kick and crunch. 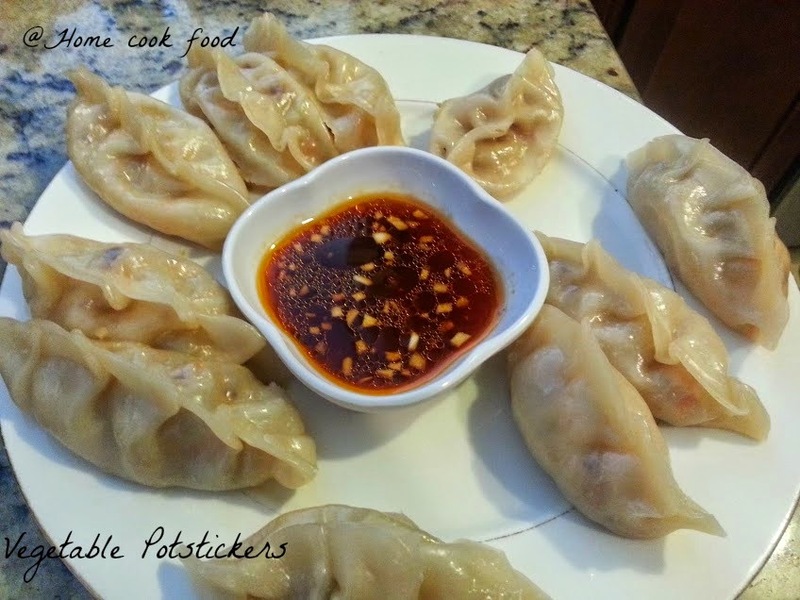 This is simple, super tasty food. Thank you to all the bloggers who shared their recipes with Four Seasons Food this time round. I feel cleansed just reading through all these vegetable delights, it truly has been a celebration! 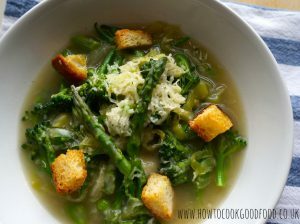 And I am choosing the winner for this month and so I happily announce that Laura from How To Cook Good Food takes the title for her Spring Vegetable Broth. I just cannot escape from the fact that this really does look like Spring in a bowl. It’s fresh, green and vibrant and let’s all the lovely vegetables speak for themselves which I just love. This is a soup that I literally want to swim in…. I hope that some of you can take part in FSF for May. Please to hop over to Eat Your Veg to get involved. 12 Comments on "Four Seasons Food April Round Up – Celebrating Vegetables"
So many wonderful recipes! I hope I can still find more asparagus. The cold weather here last week may have shortened the season…. sob! 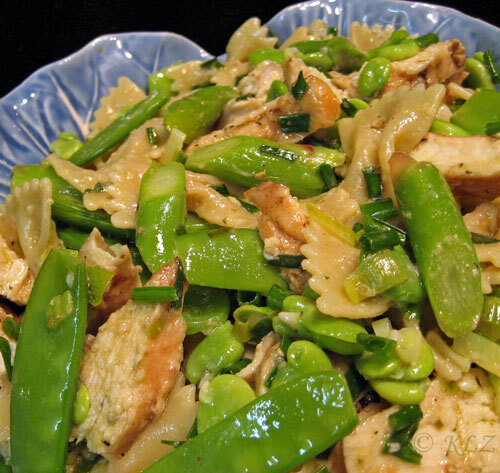 What a terrific group of recipes that feature vegetables. I could start at the top of the list and happily work my way to the bottom. What an amaZing round up this month, can’t wait to try lots of these! 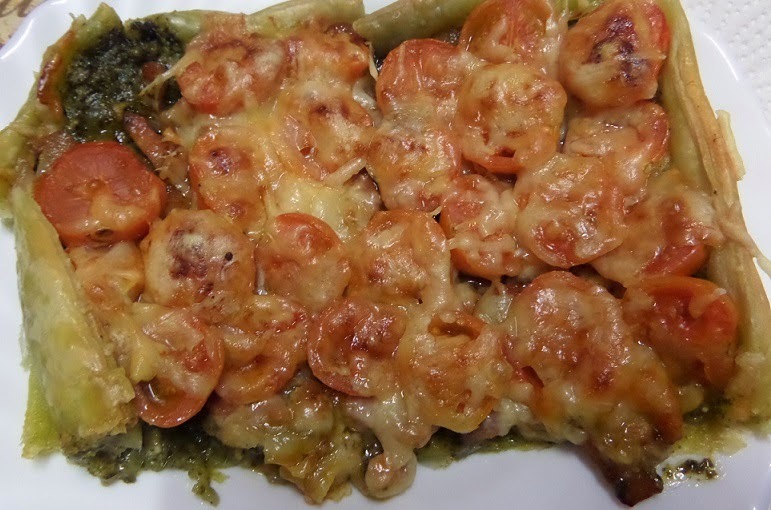 So many wonderful and delicious looking dishes. Thank you for this lovely round-up. 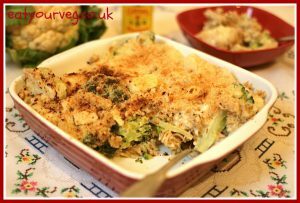 Fab round up Anneil, so so many delicious recipes I’d LOVE to make, you have been busy haven’t you! doar 1 sau 2 în cazul în care nu real , la toate .